Celebrating my Dad's 75th birthday in Nova Scotia. I like "blogging". I enjoying writing and this is my outlet for it. But it's also a great way to keep track of my life. My blog is like an online diary that I share with the public, and it's interesting for me to look back. I've heard a few people mention that they can't wait to see the end of 2013, that it hasn't been a good year. True, we lost a few dear friends this year and had to deal with some other hardships, but it hasn't been all bad, and I'd like to focus on the good that happened. 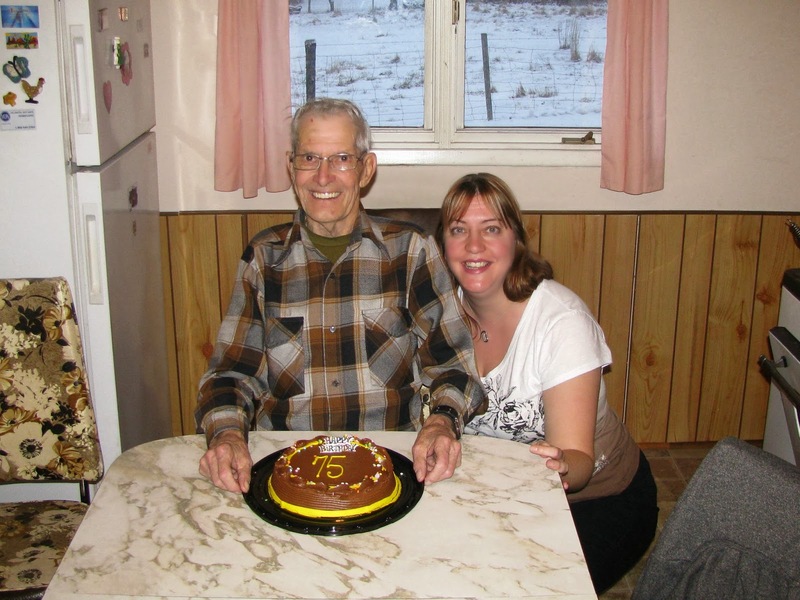 January - I fly to Nova Scotia to spend my Dad's 75th birthday with him. We have a good visit even though I was only there for a few days. February - We take advantage of the winter weather and enjoy Algonquin Park with friends and visit Johnson's Cranberry Marsh for the first time and enjoy snow shoeing. March - Canada loses a legend with the passing of Stompin Tom Connors. Rob and I get out for the last of the winter birding. 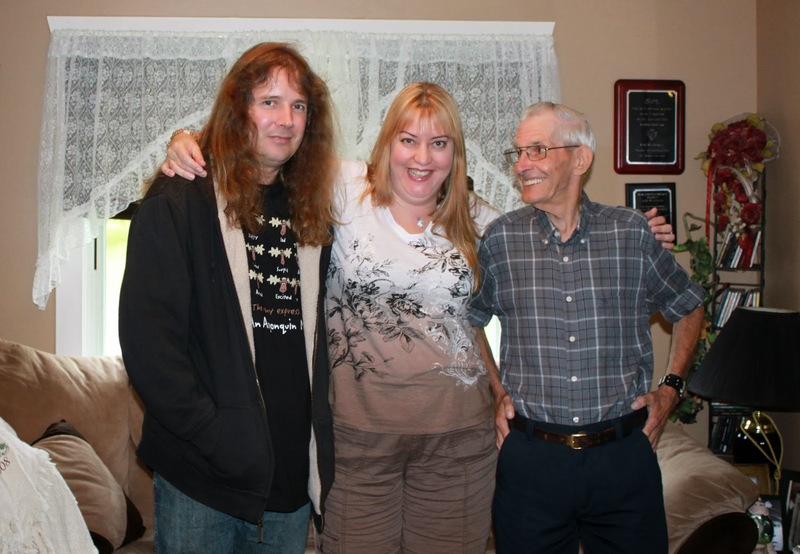 April - We celebrate Easter in Alberta, and Rob finally meets my brother and his family. 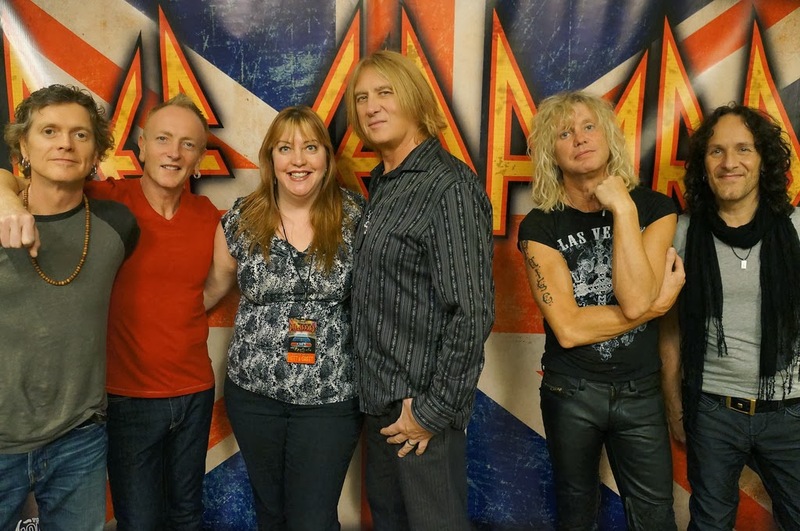 I also fly to Las Vegas on a whirlwind trip to do the VIP Meet & Greet thing with Def Leppard! 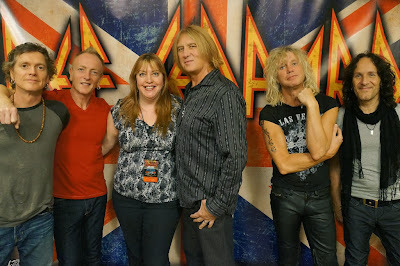 Dream come true - April 3rd, VIP Meet & Greet with Def Leppard. May - It's a birding bonanza as Spring migration is in full swing! We have our best views of many different types of warblers in Point Pelee. and we're out birding most of our two week vacation. We also lose a dear friend with the passing of Big Frank, I owe him so much and think of him often. June - I celebrate my 44th birthday. July - We spend most of our summer weekends enjoying the backyard, alone or with friends. August - I treat myself to a front row VIP package to see country super star, Kenny Chesney and discover his amazing coconut rum, Blue Bay Chair..
September - We celebrate Rob's 44th birthday in Algonquin and also make it a late honeymoon. There wasn't much "honey" in the "moon" though, as we were both fighting colds, but we made the best of it. We also go to my Uncle Bobby's in Gananoque where Rob FINALLY gets to meet my Dad! My favorite picture from the weekend with my Dad. October - We enjoy a few weekend road trips that involves lots of raptors and I have my "12th Annual Girls Getaway Weekend" at the Briars Resort. 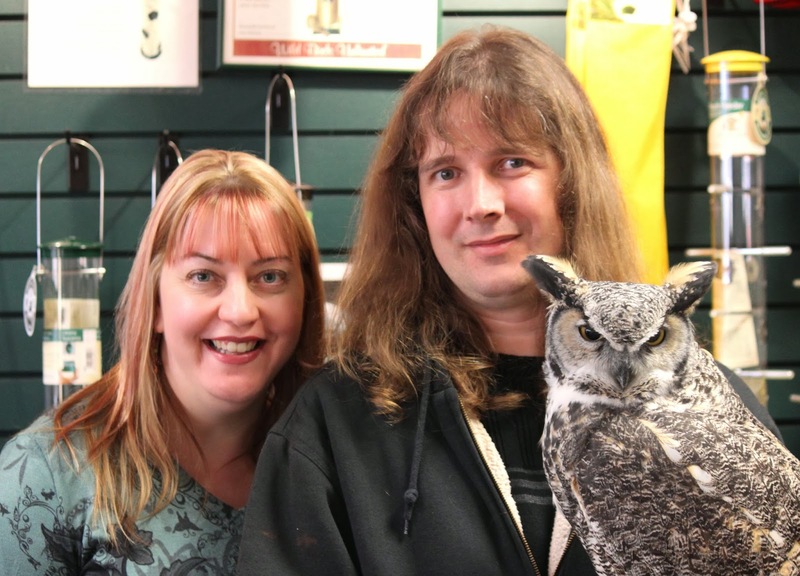 November - Rob and I celebrate 1 year of marriage in a very special way, delivering an injured Snowy Owl to the Owl Foundation, our first delivery. December - We enjoy many Christmas gatherings and Toronto sees the worse ice-storm in its history. Rob did a nice blog on how the storm affected us. Rob and I with Alex, one of CPF's educational birds on our first anniversary. Here's to a great 2014 for us all, may the happy memories out number the bad!